Shelby Lum of the Richmond Times-Dispatch won first place in the Associated Press Sports Editors 2017 contest in short video for the 75,000-175,000 circulation category. Lum won for a video on brain damage and Richmond-area high school football. Lum edged the staff of The Courier-Journal of Louisville, Ky., which finished second for a video on the commitment of Waggener High’s Tahj Rice on ‘super’ Tuesday. The contest is open to APSE members. Click here to join. Contest chair John Bednarowski and fellow APSE officers Jeff Rosen, Todd Adams and Robert Gagliardi numbered each entry. Preliminary judges selected a top five, and from there another group of judges ranked the finalists in order from 1 to 5 separately on a secret ballot. Entries were given five points for a first-place vote, four for second, etc. The winner and final rankings are determined by tallying the ballots. 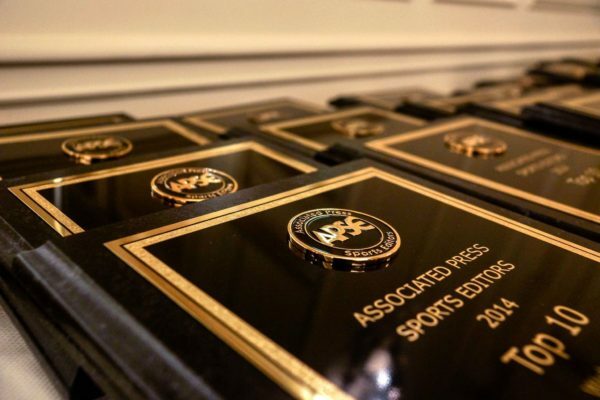 The winner in each category will receive a plaque at the 2018 APSE Summer Conference at the Marriott Hotel Nashville/Vanderbilt University June 17-20. The second- through fifth-place winners will receive frameable certificates. The 75,000-175,000 short video category consists of videos no longer than five minutes. Entries were judged, foremost, on the strength of storytelling. Visual and auditory quality also was considered. The top five is listed below with links to writers’ Twitter pages, APSE member websites and winning entries.